Changing regulations and rising mortgage rates means credit unions face an uphill battle as we move towards 2019. As homes get more expensive to buy, and financial regulations force many first-time homebuyers to look at other alternatives, mortgage credit unions such as yours have to face the music leading to backlogs and constant processing delays. 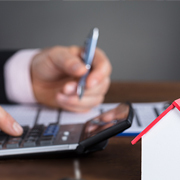 Outsourcing mortgage underwriting support provides you with an alternate solution which can help keep operational costs low while ensuring maximum efficiency levels. Outsource2india's bespoke mortgage underwriting support for credit unions is an extremely viable alternative for mortgage credit unions who are facing processing issues and declining profits as borrowers wait for rates to fall before taking new loans. We understand that keeping experienced underwriters, mortgage appraisers, and processors on the payroll can constitute the bulk of your expenses. With our help, you can cut down on costs while still receiving the highest quality mortgage underwriting support that your business needs. Our underwriters go through all the submitted documents of the borrower to quickly evaluate their employment history, net worth, income, balance maintained in their accounts, their 401(K), closed and open debts, etc. This ensures we can quickly create a borrower persona and determine their ability to repay the loan. Credit history, especially in the US, is extremely significant and a key defining factor of the loan approval process. Often, because of their time-consuming nature, underwriters can choose to skip or speed through this step. Our underwriters ensure your borrower's credit score is checked thoroughly so as to identify their payment patterns, which is then updated in the file next to their names. You can task our team of underwriters to assess the property or items the buyer is sometimes willing to put up as collateral for the loan. Assessing collaterals can be tough, but we use the latest assessment tools in order to price the collateral fairly. A loan application must go through several levels of review before it is finally approved. Our underwriters ensure all the supporting documents, statements, purchase agreements, etc. submitted by the applicant are thoroughly checked. Only if all the checks are cleared, we process the loan application further. Credit unions usually have stringent anti-fraud measures in place to avoid fraudulent applications. However, unless checked properly, some genuine applications might also be rejected leading to the loss of a customer. Our fraud assessment methods have been fine-tuned over time and help us check various factors which can lead to fraud. We check for fake documentation, conflicting addresses, multiple cash transactions with different banks, mismatch in AVM comps, sudden deposits or withdrawal of large deposits, etc. Our title assessment services are extremely important when it comes to checking if collateral properties being put up by borrowers are legally theirs or not and whether they are free from lawsuits or other legal claims. We look at the smallest of details and complete it within a short time, so the loan application process can move forward. As a leading mortgage processing support company based out of India, we believe in helping our clients achieve better stability and work towards better profit margins by offering them customized loan processing solutions. Our underwriters are proficient in the rules and regulations pertaining to the US, Canadian, European, and Australian housing market, among others. Preparation of RESPA and TILA disclosures including fee charts, GFE, etc. Why Outsource Mortgage Underwriting Support to O2I? Experienced and Professional Underwriters - Our team of underwriters are proficient in the mortgage rules and regulations of various countries and have a minimum of 5 years of experience in their respective fields. This ensures there is always a productive, knowledgeable team working for your project. One-stop-shop for All Requirements - Our bouquet of services cover all your underwriting, closing, and post-closing requirements while providing comprehensive support for project expansion and faster turnaround times. Standardized Processes - All our processes meet regulatory and compliance standards and have been designed from the ground up keeping speed, flexibility, and customer satisfaction in mind. Better Quality - Multiple points of QC and a dedicated project manager to oversee all the tasks ensures high-quality throughout the delivery process. Faster Turnaround Times - With our help, you can see at least a 30% reduction in your standard turnaround time immediately, enabled by our shift-based 24/7 work environment. Easy Scalability - We maintain multiple global delivery centers and our extremely reliable flexibility ensures we can scale up or scale down a particular project any time as per your needs. Transparency and Communication - We understand how outsourcing can be worrisome for many new clients. That is why we focus on extremely transparent processes, routine evaluation, and weekly reports to keep you up-to-date about the project. Confidentiality - From signing NDA's before the project kick-off to redundant security measures for complete data privacy and confidentiality, Outsource2india ensures your peace of mind by incorporating the latest confidentiality measures for your customer's anonymity. Flexible Pricing - All our processes are structured and can be customized for you. Our pricing reflects similar structuring in order to ensure you never pay for superfluous processes with un-defined end goals. US-based customer approached Outsource2india, as his in-house team of underwriters was not able to manage the increase in volume. Outsource2india provided him with a dedicated team of underwriters and helped him get business back on track. I have worked with Rajeev and his team at Outsource2india for the last 3 ½ years. I have been continually impressed by the level of professionalism and integrity of the O2I team has provided. We are looking forward to many more years of partnership with this great company. As a credit union, you need to work with insurance providers on a routine basis just to ensure all the underwriting requirements you get are legitimate while painfully checking each one for compliance. Maintaining an experienced staff can also lead to higher costs and can be tricky to navigate in an uncertain home market today. By partnering up with O2I, not only do you save money and time, but also raise your game to meet the challenges posed by large corporations and chain bankers. Productivity and efficiency are not just keywords for us, as we help you see better results within a short time period. Contact us now to learn more about our mortgage services, and how we can customize them for your satisfaction.